The CW is sticking with Archie. 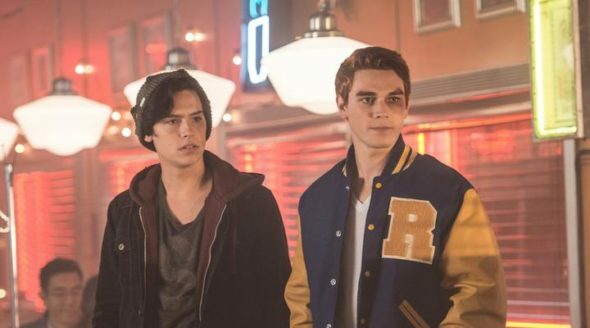 Deadline reports the network has renewed Riverdale for a second season. Based on the characters from Archie Comics, the drama follows the residents of a small town in the wake of a mysterious murder. The cast includes KJ Apa, Luke Perry, Lili Reinhart, Camila Mendes, Cole Sprouse, Mädchen Amick, Marisol Nichols, Casey Cott, and Madelaine Petsch. What do you think? Are you watching Riverdale? Are you glad it’s been renewed? i am so glad that it is returning.I just so happen to come across the show and never stopped watching! June 2017 – we just got done watching Riverdale on Netflix and thought it was great. Glad to see that it has gotten a second season as we were depressed when we reached episode 13 and realized that there were no more. Thank you for renewing it. Just finished watching Riverdale on Netflix and I loved, loved, loved it!!! Can’t wait for season 2!!! I’m so excited it’s getting renewed!!! I love this show and the characters so much already. The plot at the last episode and how season 1 ended was perfect, ready for season 2!!! !